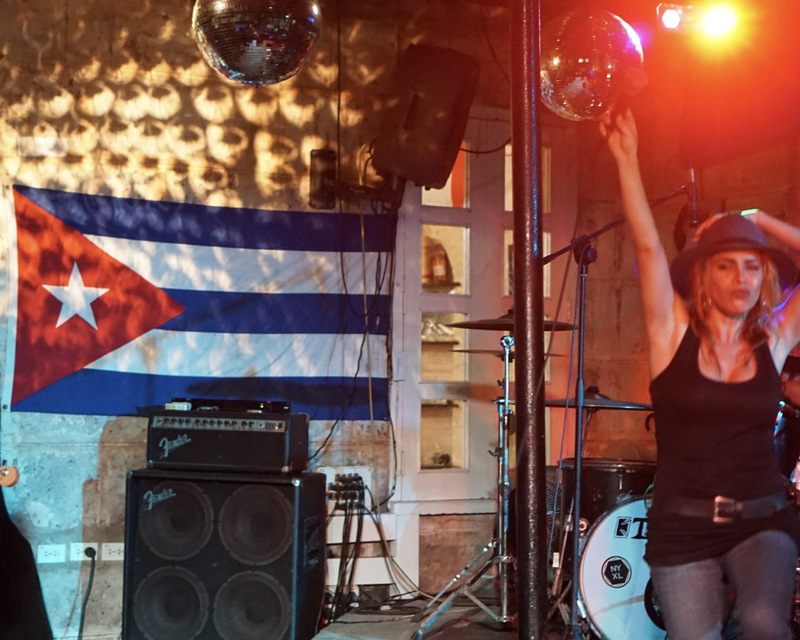 Music is constantly blasting in Havana, but the real party doesn’t begin until after dark. Besides getting to Cuba, one of the most asked topics I receive is recommendations on best nightlife in Havana. Luckily for you, there’s nothing more synomous than Marissa and Social Life. Soy la reina de la pachanga (party) and it extends to anything Trip Advisor could give you. But let me warn you on a few things before I get to my recommendations. Cuba hasn’t quiet evolved in the drinking scene like most of the world. There aren’t 200 beers on tap (there’s not even tap) or a list of fancy mixology drinks a guy with a mustache makes. Those things come secondary to Havana’s nightlife. Cuban’s drinking culture is little to none. Our purpose for going out isn’t to drink, it’s to dance. And if you’re thinking your tourist central casa particular in Habana Vieja is the spot to be in for music and bars, sadly you’re mistaken. It’s all about el Vedado, a residential part of the city that’s bustling with restaurants and bars. And while there are some places in Habana Vieja, most close early and locals aren’t found there. But don’t worry, ask any taxi to take you to the spots I’ll recommend. Let’s just get this one out of the way. 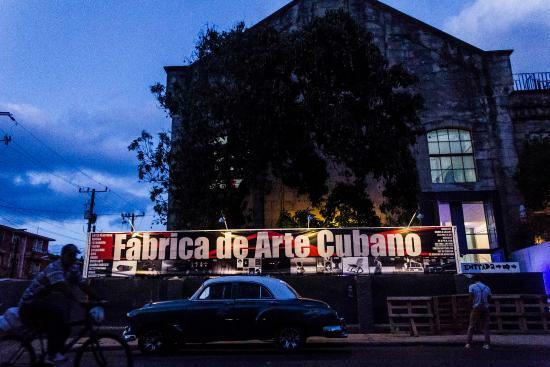 Fabrica Del Arte Cubano (or FAC) is hands-down a must in Havana. If you have only one night in Cuba, it’s the only place you have to go. It’s that amazing. Part art gallery, part bar, part club and part exhibition shows FAC is the accumulation of all Cuban culture inside a giant venue. From its various different rooms, it has something to offer everyone. Mari Tip: Open from Thursday-Sunday, get there by 9pm to enjoy it without waiting in long lines. This is an extremely popular spot for both locals and tourists so make sure you can enjoy it! FAC is modeled, cleverly, after the Cuban libreta. Each person has a libreta and instead of paying for each drink, the bartender will stamp your card with the appropriate drink. At the exit, they calculate your consumption and charge you then. Don’t lose your libreta or FAC charges $30CUC per person! One of the most famous and popular music venues in Havana, Casa de la Musica hosts Cuban musicians from around the world. Depending on the night, you can spot locals here dancing away to Cuban son and timba (a form of casino or salsa). Mari tip: Casa de la Musica is a bit touristy and there can be jinteros outside hustling their way (especially if they see a group of girls or group of guys), but depending on the act, it’s worth it! Not all nights are created equal though and prices tend to be high for locals to get in. Another music venue that boost rich Cubans and tourists is Don Cangrejo. But don’t dismiss it just yet. Its outdoor restaurant and venue will have you dance the night away. Located right on the water, some of the best and famous Cuban bands play here daily. Mari’s tip: Best night hands down is Friday. Friday in Havana is hosted at Don Cangrejo and its no secret. It gets VERY crowded so make sure you get there at 10pm when the day restaurants becomes a night-club. King’s bar has never disappointed me when we’re too lazy to go to the other end of el Vedado. Located near La Rampa (23rd entre D/E), it’s semi secret entrance leads its way to a nightclub with tons of locals. The small club feels intimate but the party is huge! 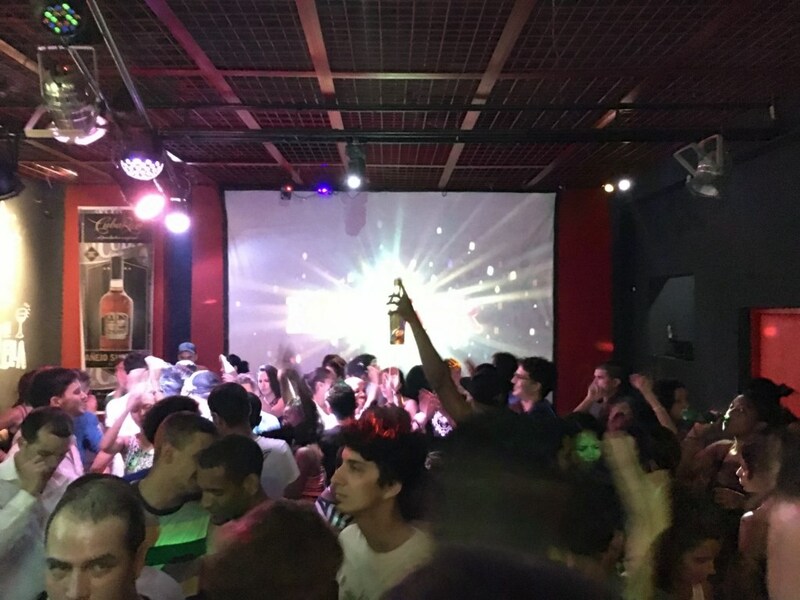 What I like the most about King’s bar is that the prices are reasonable and there’s a variety of different music anywhere from reggaeton to American pop to electronic music. If you want an amazing time with locals while hearing live music, there’s nothing better than Corner Café. It’s reasonably priced and offering tapas that aren’t all Cuban (a blessing being Cuban and having nothing but Cuban food ALL THE TIME in Cuba). Mondays is jazz night. Thursday is rock. And in between are local bands that are pop/rap. Mari’s tip: Awesome breakfast spot too! Super trendy comes with super trendy music and atmosphere. This club looks like its off Ocean Ave in Miami. Seriously, it’s beautiful and modern for Cuba standards. It attracts an equally trendy crowd with locals and tourists. Like many places in Cuba, Sarao doesn’t start till around midnight. Go at 11pm? Early. But unlike many places in Cuba, the prices aren’t as reasonable for tourist standards of Cuban prices (and unreachable for many Cubans, but many rich middle class Cubans are spotted here). 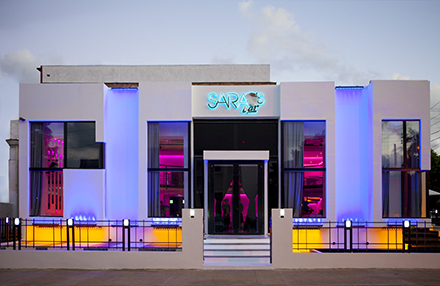 If you want a trendy and more upscale/fancy night out, Sarao is for you. Cool kids. Trendy Kids. And Local Ones. This basement bar gets PACKED during the weekends as its currently a very popular bar. Its in Miramar so many Cubans with more $$ attend this bar as well as many foreigners living in Cuba. It get SUPER fun after 1am so drink that cafecito! Another place where all the cool kids go. Espacios is hidden from plain sight and what looks like a normal house. The difference? You’ll see a lot of cars and guards in the front. It hosts local affluent Cubans and their expatriate friends. Chi Chi. It’s not for the poorly dressed or anyone not willing to party until 6 am. Yes, 6 am. Calling all friki’s (Cuban for rockers)! If you love rock music or the Beatles, this is the place for you! Some of the best Cuban rock groups play here during the weekend. I am a secret friki to be honest. I grew up with classic rock thanks to my father so when I went to Submarino Amarillo I felt right at home. Mari tip: Check out the decorations as it matches the theme and its very unique to Cuba! Near FAC, Jardines is widely known in Havana as the go-to spot for Salsa on Thursdays and Sundays. Although salsa is a dying trend in Cuba, it still draws crowds especially for tourists. Live music from the stage gets everyone in the mood to dance and guaranteed you’ll be asked by locals to dance with you. If you don’t know casino, don’t worry someone will teach you. 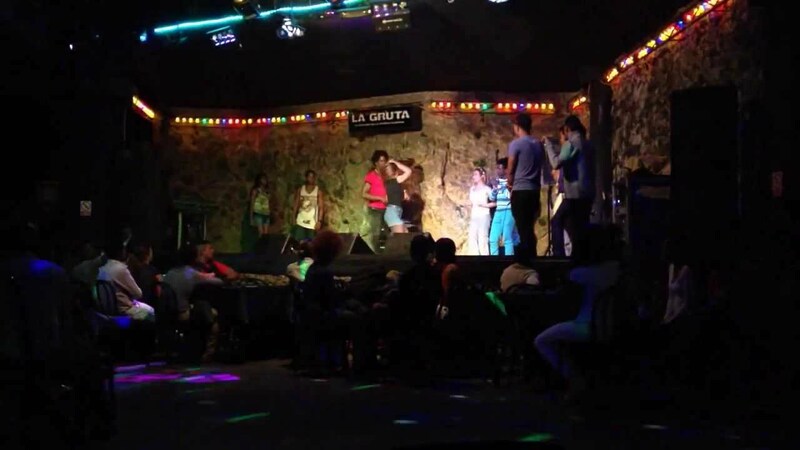 If you love salsa, love Cuban culture, love dance shows, love HOT HOT HOT (literally HOT) places, La Gruta should be on your top list. The dance floor is really a spectualar show of locals and tourists showing off their best slasa moves. Don’t know how to dance? Its Cuba. Someone will show you. Know how to dance? Get ready for serious comeptiton. Mari tip: The AC is broken. Last time I was here. Good place to burn some extra calories. Best night is Wednesdays. 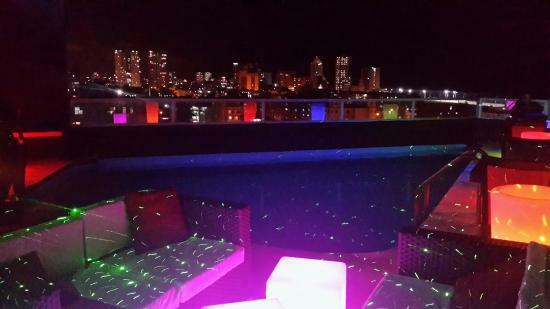 One of few rooftop bars in La Habana with a POOL on the top. Although you cant swim in it, the ambiance is beautifully overlooking the malecon. It has one of the best pina coladas I’ve ever had and on Sunday’s electronic music is playing from upcoming and emerging Cuban DJs. It’s a perfect place to spend the later hours of the evening but be warned, it also gets pretty crowded. 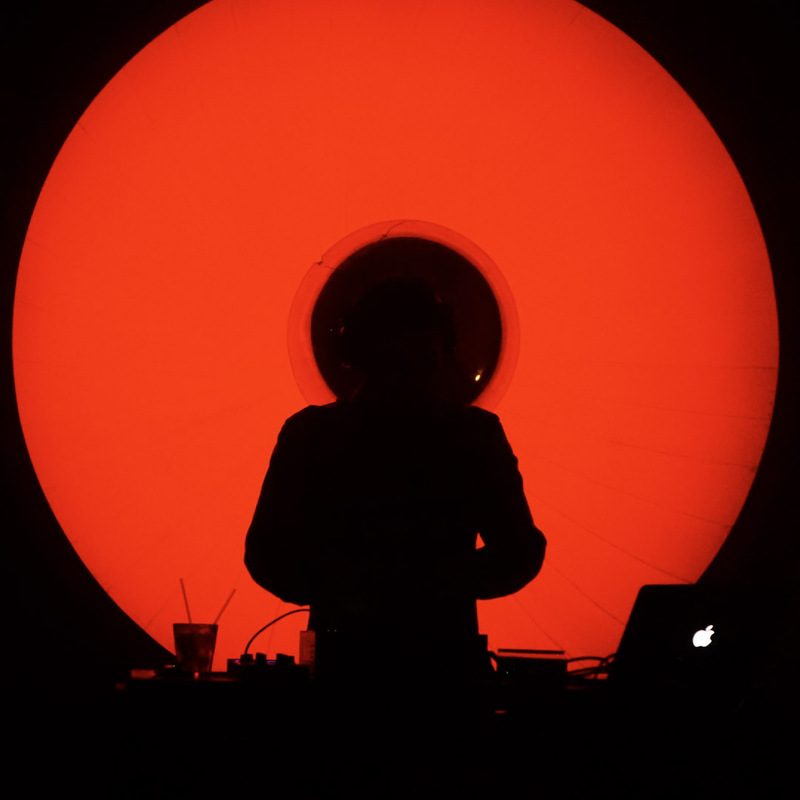 On Tuedays (I believe) EFE has local DJs spin its really charming interior. Everytime I have been its been a great place to chat and lounge with friends although I have heard it gets crowded during later hours. Its cabana style tables are perfect for tapas and drinks with friends and we’ve never had a bad time here. Another rooftop bar (very close to Flauta Magia) offers a beautiful enviorment and some of the best mojitos in El Vedado. It’s also popular with locals. And the bartenders have dance moves to certain songs. It’s a perfect place to chill, relax, and make some Cuban friends! For more on Havana, check out my Cuban 101 Guide. Want to come to Cuba and experience it as a Cuban? Sign up for my tour notifications. I’ll be offering tours very soon!